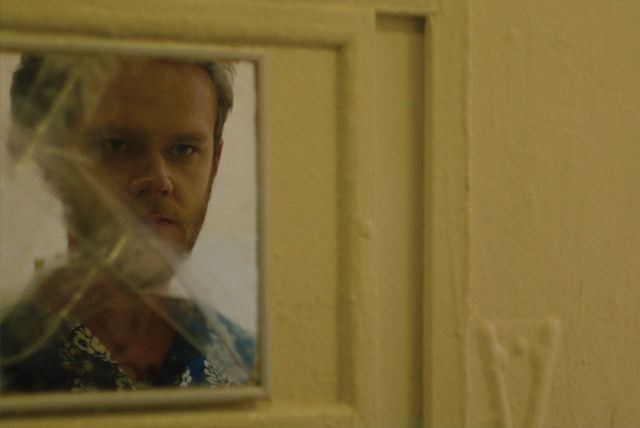 Kasra Farahani (Director, co-writer) and Jason O’Leary (co-writer) will be debuting Tilt at the Tribeca Film Festival this Saturday, April 22, 2017. Tilt will make its world premiere in the Midnight Section of the festival. In 2016, Farahani premiered The Waiting starring James Caan at SXSW. Tilt is the chilling story of Joseph, a struggling film maker, and his pregnant wife Joanna. Something is obviously wrong with Joseph, he shouldn’t be this sad with a baby on the way. But you can tell from the teaser that Joseph has some issues. Is he schizophrenic? “I’m watching myself do these things” he tells us. Maybe he’s possessed? “I can’t be normal” he repeats several times. Maybe Joanne can cheer him up. “Everything will be better when the baby comes,” she tells him. Joseph doesn’t seem so sure. So, are you lucky enough to make it to the Tribeca Film Festival this year? If so, come back and let us know what you thought of Tilt!